Jakarta. Indonesia might force local e-commerce sites, like Alibaba-backed Lazada, Softbank's Tokopedia and Bukalapak to offer a certain amount of goods from local small and medium enterprises, a minister said on Monday (29/05). The plan is part of government efforts to ensure that the country's 55 million SMEs benefit from the country's growing digital economy, and in the process, help reduce inequality here. 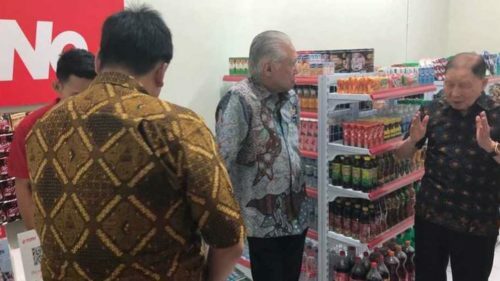 "We have been urging them [online marketplaces] to sell more domestic products, especially from SMEs," Trade Minister Enggartiasto Lukita said at a seminar in Cirebon, West Java. The government has been making calls to online marketplaces, because up to 95 percent items sold on Indonesia's online shops raging from clothes, kitchen utensils to smartphones and laptops, are imported, the minister said, exacerbating the country's trade deficits and stifling local producers. In the retail industry, the Trade Ministry since 2013 has required that 80 percent of all goods sold must be produced locally. The ministry initially planned last year to impose the same rule for online sellers. But, it decide to postpone the plan in February, saying that local producers may not be able to handle a huge jump in demand coming from online platforms. Local e-commerce sites had also voiced their concerns about the rule, saying that often imported items are repackaged by local businesses and currently, there is no clear cut rule to classify such items. Still, Minister Enggartiasto said the plan remains on the table and that his ministry is still figuring out how much room the online sellers need to give to local products. "We have told them once [to accommodate more local products], and we will ask them once more soon. If it's not implemented, I will issue a regulation requiring a certain amount of items offered and sold on [online platform] to be local products," he said. Indonesia's e-commerce market size — which only include sales of physical goods from business to customers — is estimated at $8.6 billion this year, according to global statistics portal Statista. That is about 2.4 percent of the country's $350 billion retail market. The portal also estimated that Indonesia's e-commerce market will grow by almost 18 percent annually and reach $16.5 billion in size by 2022. Seeing the potential, the government insisted that more local SMEs take part in the e-commerce market, Enggartiasto said.